As Tennessee prepares for the future with new head coach Eve Rackham, let’s take a last look back at some of the amazing numbers put up by the man who led the Lady Vols the longest and most successfully: Rob Patrick. I had hoped to get this piece done before UT hired a new coach and, while I knew this would be a faster search than the previous one, I thought I might have at least another week or two to finish. 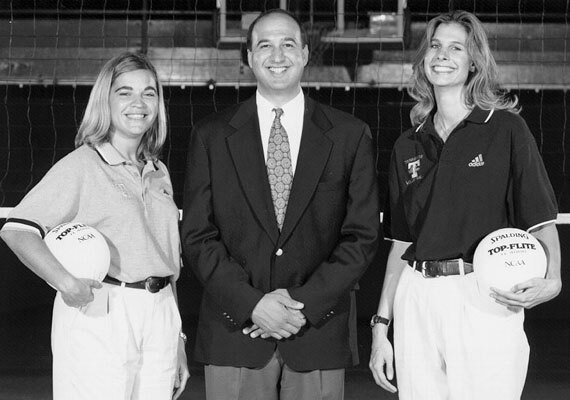 When head coach Julie Hermann left the team in February of 1997, it took UT until June to announce a replacement! That new hire was also a first time head coach who’d had success as an assistant and recruiter. Patrick spent 21 seasons as the Lady Vol head coach. The previously longest tenured coaches were here for 8 years: Jo Hobson from 1965-1972 and Bob Bertucci from 1979-1986. Patrick led the team to 16 winning seasons in 21 years. Only once did the team have back-to-back losing seasons (2013-14). Tennessee made 9 NCAA Tournaments during Patrick’s tenure. The team had been to 5 total in the years before his arrival. Patrick won 409 matches, the most by far of any UT volleyball coach. His .621 winning percentage is second all-time behind Bertucci (.666). 18 Lady Vols have won All-America honors all-time. 16 of them were on Patrick’s watch. Tennessee has won 2 SEC Championships since 1997. Only Florida has won more (17) and only Missouri (2) can match. Until last month when Florida got there, Tennessee was the last SEC team to make the Final Four — under Patrick in 2005. Tennessee is one of only three SEC teams to ever make it to the National Semifinals. LSU is the third, last reaching it in 1991. At the time, UT was just the fifth different school in the eastern time zone to ever make a Final Four. Since 2005, only two other teams have joined that club. Tennessee has finished in the top 25 of the Coaches Poll 8 times in school history. 6 of them came with Patrick squads. Since PrepVolleyball started their list in 2004, 24 top 100 prospects have come to play for Tennessee — with three more on the way next season. Since PrepVolleyball started their list in 2003, Tennessee has been ranked or named an honorable mention for having a top recruiting class every season except one (2004). Tennessee has placed at least 5 players on the SEC Fall Academic Honor Roll all 21 years of Patrick’s tenure — UT is the only league team to have done so in that time. Patrick is one of only two coaches to ever win the SEC Coach of the Year award three times (Mary Wise is the other with 12). I think these numbers make the case rather forcefully that Rob Patrick is without question the greatest coach in Tennessee volleyball history. And a strong case can be made that, at this point, he may be the second most successful coach in SEC history as well. But coaches know full well when they sign up that job security in their profession is not something you can count on. The number that keeps you safe is not how many years you’ve been here, nor even total wins — but what have you won lately. So, I’m not here to say the university was wrong if they wanted to consider other options. However, if they were thinking that and knowing his contract was set to expire at the end of the year, why wait until December? Why not give the fans a chance at giving this coach, the top coach in school history, a proper send off during the season? Yes, it might have been a bit of a distraction, and maybe the coach himself preferred it this way, so keep in mind this is all speculative on my part. But it seems to me an opportunity was missed that I hope gets corrected one day in the future. I am excited about the future of Tennessee volleyball under coach Rackham! But the program has lost a big piece of its history without much fanfare, and so as the baton is officially passed let’s recognize and thank coach Patrick for his contributions to the Lady Vols over two decades. 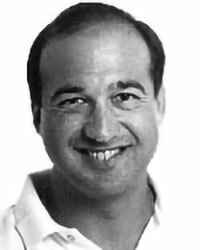 In 1997, a 36 year old first time head coach came to Knoxville and told the local paper the most common thing he heard from potential recruits when talking about UT was they didn’t know much about us. “I feel like a preacher, going out and spreading the word about Tennessee”. Thanks for that coach Patrick. You’ve left some big shoes to fill — and I don’t mean those fancy white ones you used to save for big games! Tennessee will not be the same without you, and, thankfully, Tennessee is not the same because of you. This is a fan maintained site, not affiliated with the University of Tennessee.